I know a thing or two about making a good salad. And by good, I mean downright delicious. The kind of salad that you never want to end, that you make a little larger each day so it can last longer, and you hesitate when someone asks you if they can have a bite. That’s the stuff! 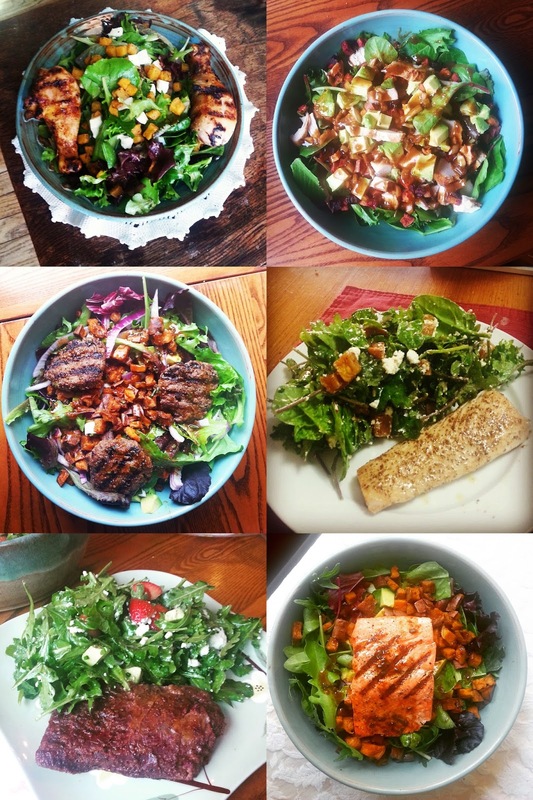 What’s gotten me to become a salad queen? Practice, and homemade dressing. I was hooked the first time I made dressing, and after a few months of tweaking (and the addition of ginger), I am ready to share my results! 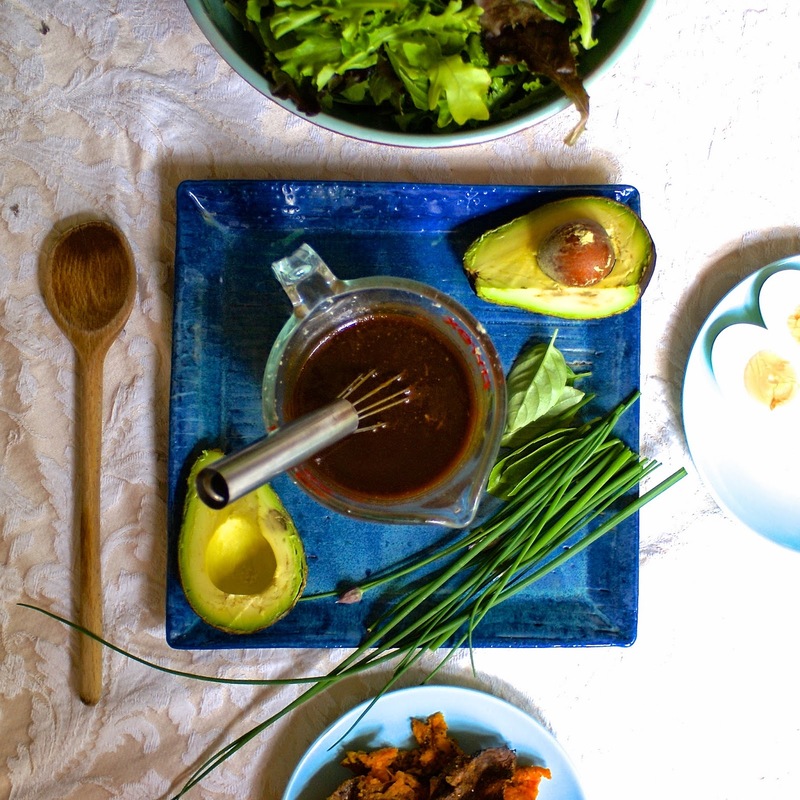 This dressing is easy to throw together, and will last you the week. 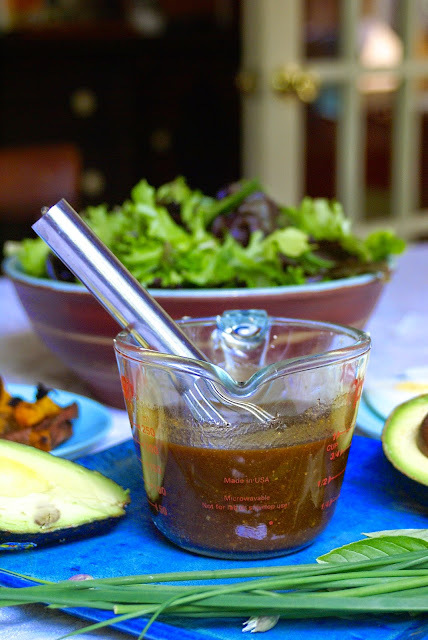 Forget about added sugars and preservatives because this is the real thing…balsamic vinaigrette how it should always be with the genius addition of fresh ginger! 1. Fresh, Fun Greens. Get yourself some good spring greens with baby chard and spinach. Mix arugula, baby kale, and chopped radicchio. 3. Always Add Avocado. No exceptions. Avocado makes everything better. You gotta trust me on this one. If you’ve been following me on instagram, you know just how salad obsessed I am. I love the variety salads offer as well as their size. Who would rather eat a small sandwich when you could be eating a divine salad the size of your head, guiltlessly?! 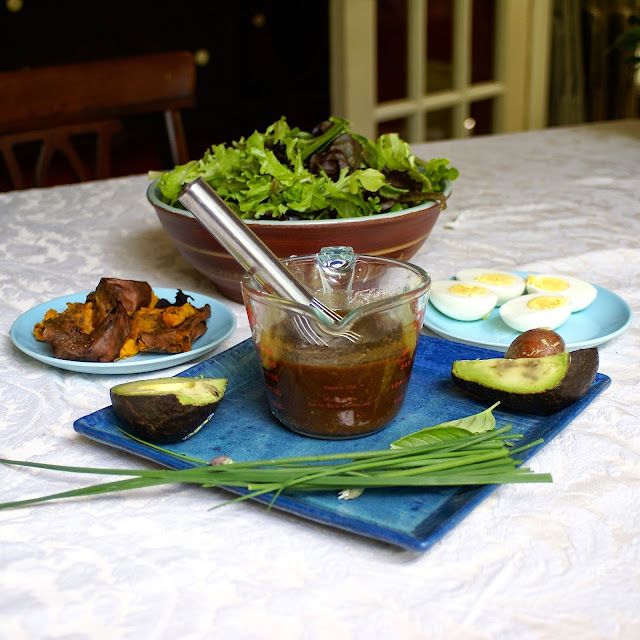 I hope to inspire you to catch the salad bug with this delicious dressing recipe. If you follow my four steps to build the perfect salad (and use my balsamic ginger vinaigrette) you too will become a salad fiend! Whisk everything together until well blended. Store in an air tight container in the fridge. *It is normal for the dressing to separate and slightly solidify. Either take it out 10 minutes before dressing your salad, or microwave it for a few seconds. Wonderful and informative post with lovely photos. Thank you so much for sharing.